Bruges is one of those unique European cities that seems to have avoided the passage of time. The countless number of architectural, historical and artistic wonders make the city a perfect destination regardless of the season and weather. Strolling along the city's roads is like walking into a medieval world. Here you get surrounded by constructions of great historical importance. 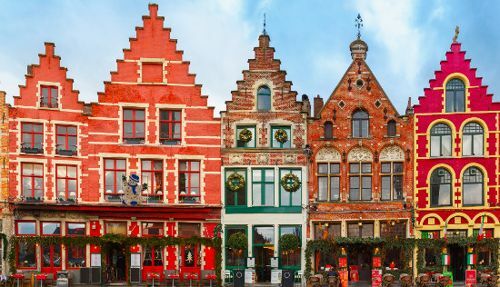 The world-class museums, cool bras, fashionable restaurants and many sights will be at your disposal once you arrive in Bruges. Just rent a chauffeur-driven bus in Bruges and have your guests accommodated conveniently. 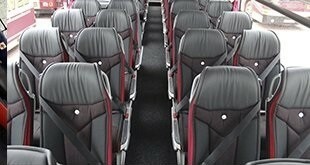 8Rental is a leading chauffeured coach hire service operating in entire Europe. A large number of customers from around the world serve as a pledge for trust. We never let down or disappoint our clients. Instead, we make sure all their expectations are met. Right from the beginning up to the end, every order is supervised and monitored by our staff to make sure everything is kept for achieving a satisfactory result. As you can see you can trust us whenever you need to rent a bus with a driver in Bruges! 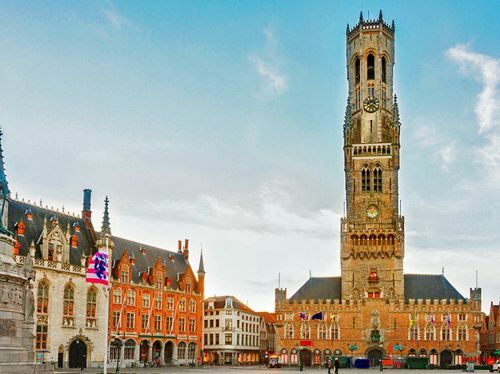 Bruges is a wonderful city, which has much to offer to any visitor coming from the Americas, Asia or Europe. However, if you want all your guests to enjoy a truly fantastic and, of course, comfortable tour, it's worth considering booking a large vehicle only from a reliable rental service. 8Rental is just that type of a vehicle supplier in Europe! 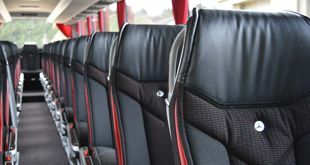 Here you can find and book a perfect coach with a driver to accommodate all your tourists and drive them along Bruges's roads in complete comfort and safety! We know you value the convenience of your guests and want to remind you that we value your trust in us! Be certain, 8Rental is committed to doing everything necessary to achieve a high customer satisfaction level. 8Rental is online 24/7 to receive its clients' quotes. Our CS operators are always ready to accept orders, answer your questions or respond to your suggestions. We are glad to inform you that by booking a vehicle from 8Rental, you will be provided with fuel and medical insurance. Additionally, you won't be in charge of any fees or taxes. What vehicle can drive your guests more comfortably than a huge Mercedes Sprinter? Perhaps only the VIP variant of this bus. Mercedes Sprinter is equipped with such specs as central heating and air conditioning, a premium audio system with CD/DVD, a TV (for an extra charge), amazing seats, reading lights, a minibar (optional), toilet, a refrigerator, etc. Driving in this huge bus, up to sixty-five tourists, you will feel only comfort and satisfaction. Hire a chauffeured bus in Bruges to ensure your guests with an utmost comfortable driving! 8Rental deals with only professional drivers who have valid driving licenses, years of experience in the field of passenger transportation. By relying on them, you are guaranteeing yourself with truly safe drives in Bruges. By the way, they master not only German and French but also other international languages. They know the city's roads well and always take the right direction. Hiring an expert driver from 8Rental for a huge group of tourists is beneficial in all ways! Your guests can be met right at the airport or railway station. This way both you and your guests will save the budget greatly.